It all started with subtle changes — the inclusion of friendly illustrations, new colors in landing pages and tweaks to website copy. Many growth industries — SaaS included — congregate around new trends. These recent subtle shifts in approach to B2B branding have snowballed into a full scale rethink of what it means to produce and sell B2B software. The new Typeform brand identity. It’s fascinating to take a look at the companies driving such a movement and how they’re rethinking the way they present themselves to the world — let’s dive in! I’m calling it now: 2018 is the year when B2B SaaS breaks out of its consumerization shackles. We no longer need to evaluate products in the light of their consumer equivalents or make guesses as to where certain design features were borrowed from. It’s time for B2B SaaS to stand on its own as a mature category of software with its own thought leadership, unique user experience and branding. Why now? What’s driving this? SaaS is a “winner takes most” industry, where the biggest gains and growth are seen in categories where the business can dominate. Today, most categories are ripe with strong competition. It’s never been easier to build a SaaS business. A wealth of building blocks exist — tools, infrastructure, APIs to code against — making the cost of entry lower than ever. But all of this brings increased competition. With so many similar solutions on the market, it’s difficult to differentiate your product on features alone. So how else can companies differentiate themselves? Price — yes, but that’s a race to the bottom. Brand differentiation is the answer. A well-designed and established brand is a defensible form of differentiation that can carry a strong influence over users. If you want to read more about the relationship with brand and user experience from a content perspective, check out the post Is Your Content Marketing Making Brand Withdrawals? On the surface it might seem like one company innovates while the others all copy, but there are a number of businesses in SaaS working hard to build a stand-out brand experience. If you look close enough, they all differ in some way or another. But they do share some commonalities. This post covers many of the visual elements of branding — the web design, general aesthetic etc. — because these are the most publicly-visible components. However, I would expect that all of the companies mentioned have built a stand-out brand that runs much deeper than this. The days of bland B2B software websites are over. The cutting edge today is punchy, colorful and full of contrast. It’s like B2B SaaS finally drummed up enough confidence to step out of its grey hoodie and show off that technicolor t-shirt underneath. Intercom cemented its commitment to design and branding a few years ago when it launched the Intercom Brand Studio. This in-house team seemingly has a lot of freedom to think deeply about the overall brand experience of Intercom and contributes on a wide range of projects — from product design to e-books and even print design. The result is a highly differentiated, forward-thinking SaaS brand experience. 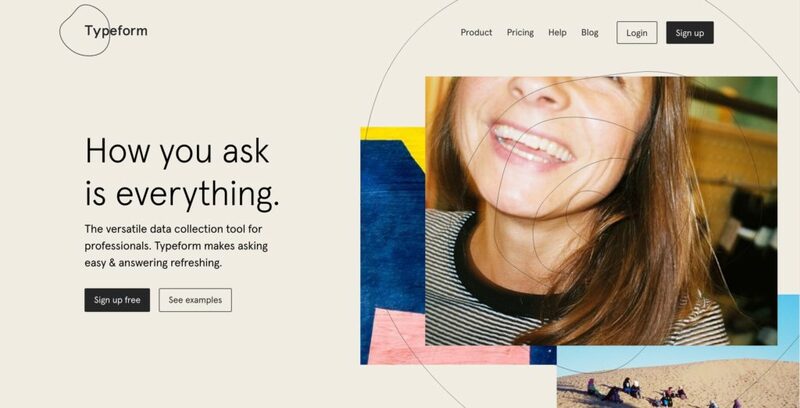 No other B2B brands out there really touch Intercom in terms of brand experience, and many design trends are pioneered from within the Intercom Brand Studio. Dropbox is an interesting case because it’s a business with a large number of both B2C and B2B customers. Perhaps this contributed to its role in influencing branding in the B2B world. Some years ago, Dropbox ushered in many of the current B2B trends of today — utilitarian, functional design with small hints of character through friendly hand-drawn sketches. 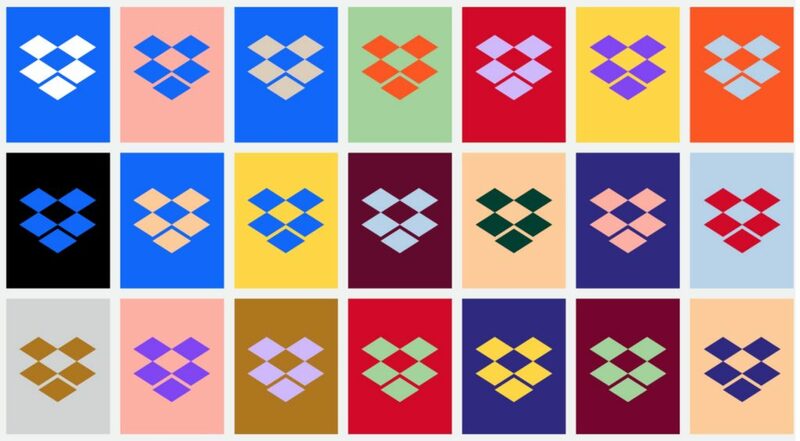 Their 2017 rebrand (which was likely in preparation for their forthcoming IPO) saw a radical departure from the old-style Dropbox. The new brand serves to represent a highly creative aesthetic reflected in its target user base. While it originated as a cloud storage solution, the Dropbox of today is focused on tools for creation and professional productivity. There’s a real problem with most stock images: they look like stock images. While they used to be a cost-efficient way to leverage professional-quality imagery on your company’s website, the kinds of stock images used in B2B software have converged on a common aesthetic — there’s not really much differentiation any more. Secondly, stock images are just too generic. Because they’re designed to fit a large range of clients and uses, they don’t do a good job of accurately conveying your specific brand, and they’re certainly not tailored to your company and its culture. Finally, with massively popular free stock outlets like Unsplash, commonly used images can even be recognized in multiple places around the internet. What worse way to differentiate your brand than to use a hero image that appears on other sites in the industry? 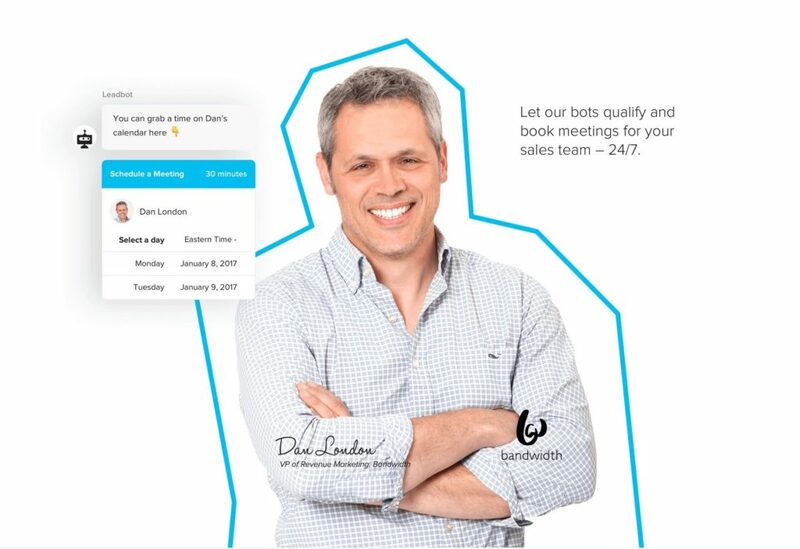 B2B businesses in 2018 are realizing the true value of using real people in their images — whether that’s real customers (see Typeform below) or employees. This may require a greater upfront production cost than a purchased stock image, but the end result is far more engaging and relevant to the brand. 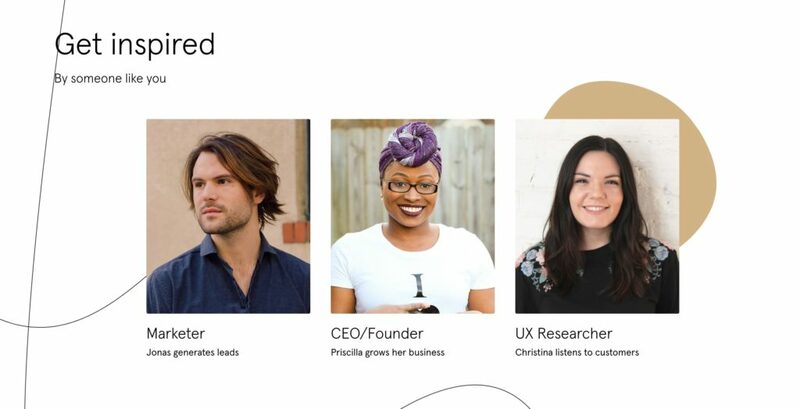 Typeform showcases real customers on their landing page. The Drift landing page doesn’t just feature real customers — it’s completely positioned around a single customer! 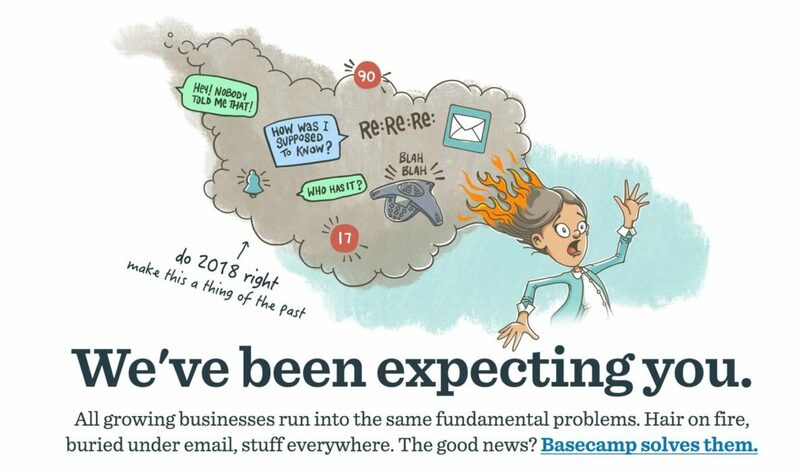 There’s no doubt you’ve identified the new trend in illustrations on SaaS websites. This imagery comes across as friendly and approachable, while conveying the product’s values in an abstract way. 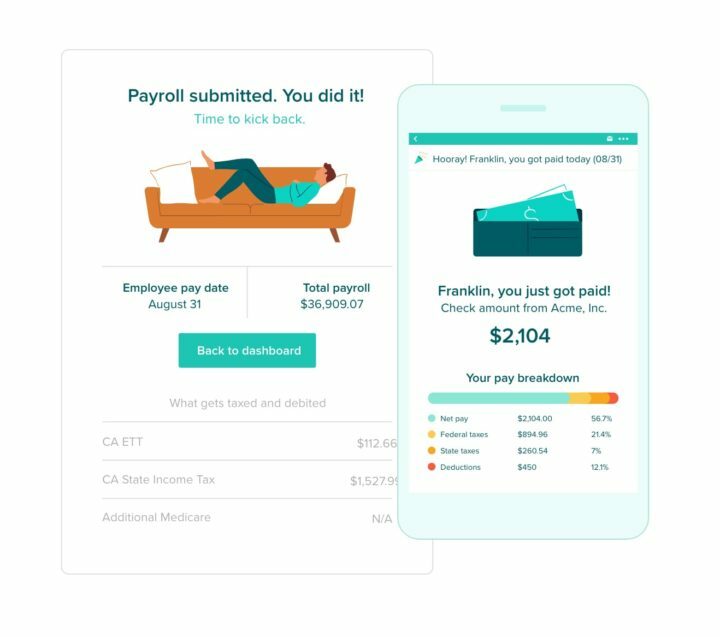 In many scenarios, these illustrations have replaced the generic looking stock images previously occupying the “hero” slot on the landing page. 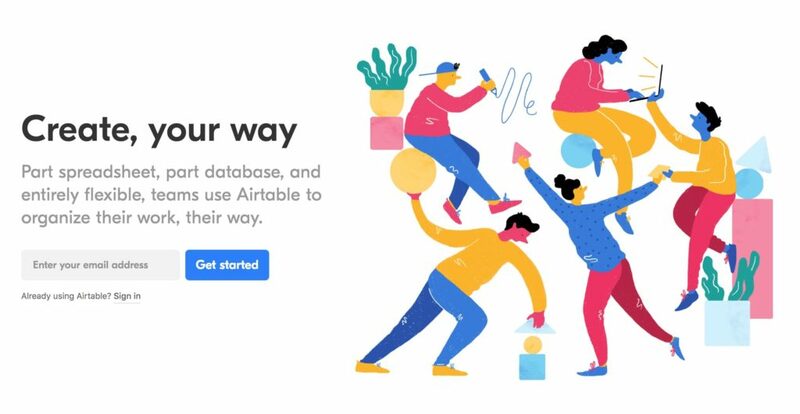 The fun, whimsical illustrations on Airtable’s landing page suggest creativity and playfulness. 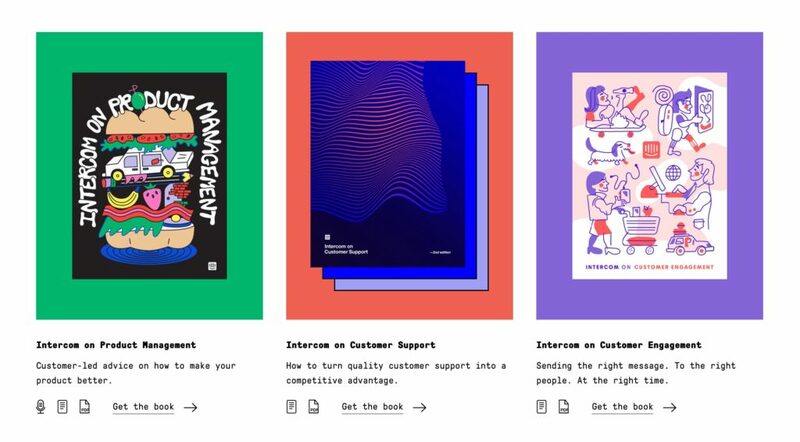 Atlassian’s landing page illustrations are visually interesting and also reflect the theme of the company — collaboration. Kiss goodbye to overly colorful, buzzword-filled copy! Simplicity is the flavor of the moment when it comes to the language of B2B businesses. But it runs a little deeper than simplicity alone. The companies pioneering in this area are using copy that’s refreshingly direct — in some cases, surprisingly so. Complex copy is no longer recognized as a marker of sophistication, perhaps as a result of its overuse in recent years. In 2018, headlines are best served short, punchy and to-the-point. 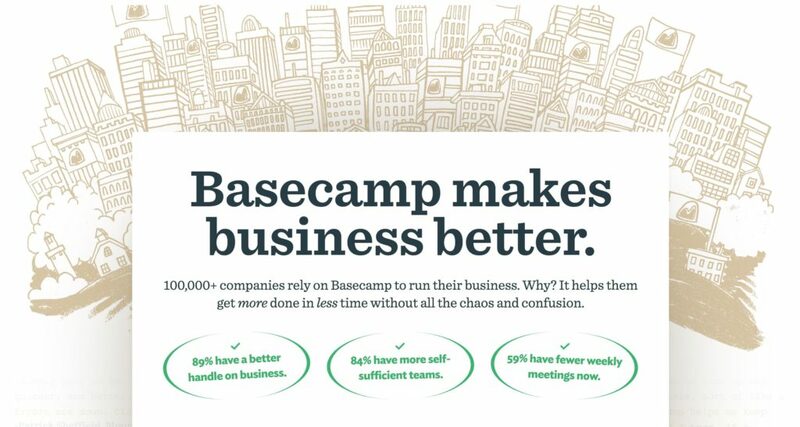 Basecamp’s landing page copy certainly strikes a chord with professionals suffering from the exact problems they describe — it speaks directly to the user. Aspirational simplicity is the name of the game with this copy. Engaging people on your company website with a captivating brand is a good step toward B2B success. But businesses are realizing the importance of carrying this experience far beyond the website itself and into the complete product experience. In SaaS and subscription businesses there’s no one-time purchase. Instead, businesses need to attract customers and keep them subscribed by driving significant ongoing value. This requires a holistic approach to branding that’s inextricably tied to user experience. Ask yourself this in 2018: Is your website writing checks that your product can’t cash? The character and rich, playful nature of Gusto’s brand really shines throughout the product experience. After a year-long process, the end result is packed with emotion and personality. Phase one saw the enterprise businesses of yesteryear entirely focused on product utility and feature lists. In phase two, businesses awoke to the possibility of great user experience and branding in B2B software. Some companies in the space realized they could innovate with a thoughtfully designed, delightful UX. These companies were largely borrowing from ideas and concepts in the consumer space. Phase three is where we’re at today. Successful B2B brands are no longer chasing the shadows of their more innovative B2C counterparts — these companies now stand on their own and are paving the way for the rest of the industry to follow suit in creating a stand-out brand experience and truly differentiate themselves from competitors. Is Your Content Marketing Making Brand Withdrawals?